Oh, Shanghai, you really do have such interesting things to see, don’t you? My trip there was full of odd moments, funny signs (not all of which were intentional), beautiful scenes, and colorful images that I will long remember. 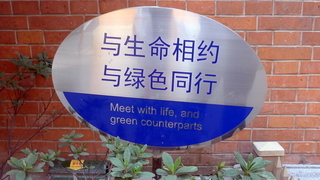 A trio of signs in a housing estate meant to encourage residents to respect the greenery. 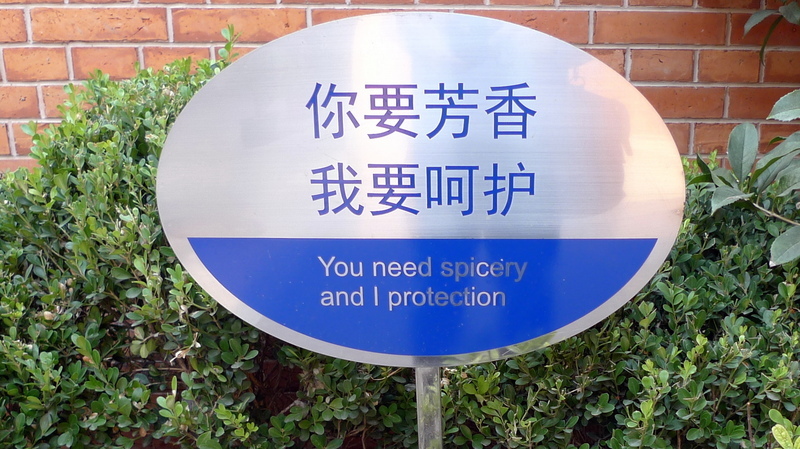 Translations into English were a bit questionable: “You need spicery and I protection” (maybe relative to variety being the spice of life? ); “Meet with life and green counterparts”; and “Treat plants wall and get good return” (okay, I kind of understood that one). 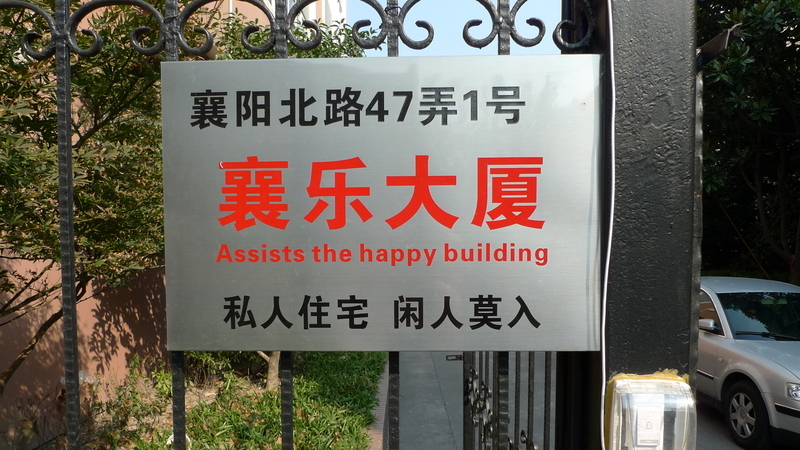 “Assists the happy building?” Sorry, come again? 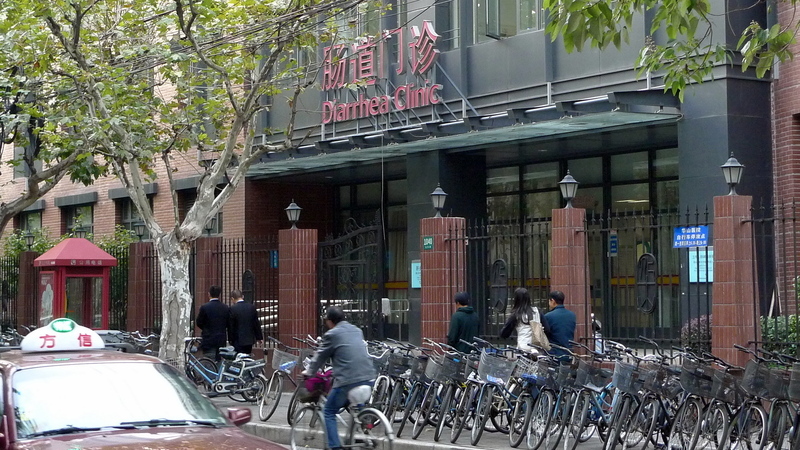 We saw several health clinics with rather blunt names. Here is the Diarrhea Clinic. Okay, I guess that is easier to say than “Gastrointestinal Distress Clinic”. Street food! We passed a shop specializing in ham. 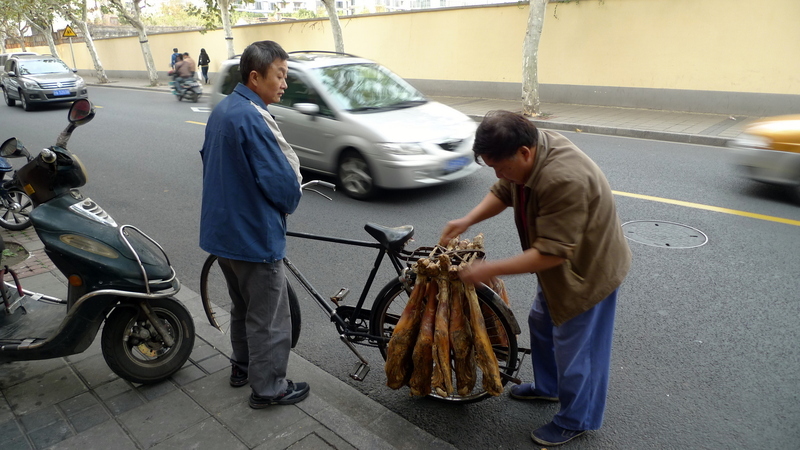 They were preparing for a delivery, strapping ten smoked and dried pig legs to the back of a bicycle. 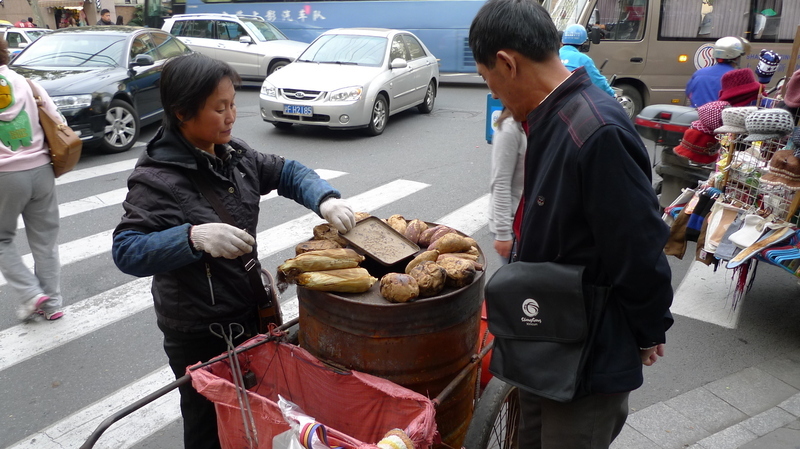 Roasted corn and sweet potatoes sold on the street. Perfect for cool weather! On the right, Daniel tries one. Sadly, I forgot to get a picture of Jason, too. 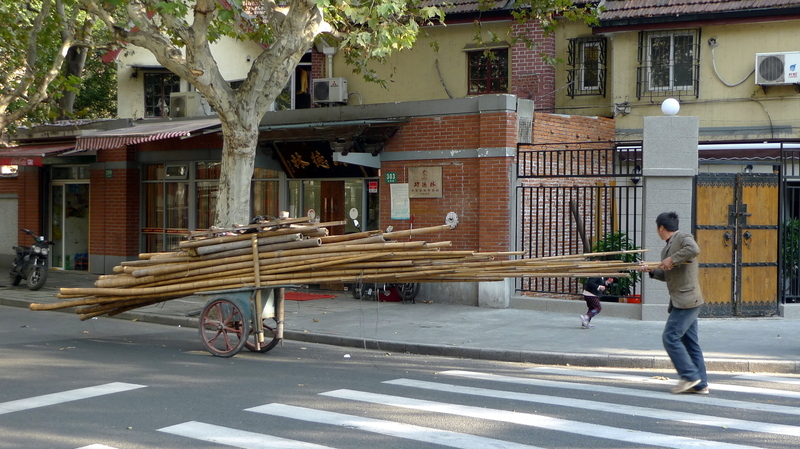 Lots of modern vehicles in Shanghai, but also a lot of people using pretty old (and inventive) methods of conveyance. 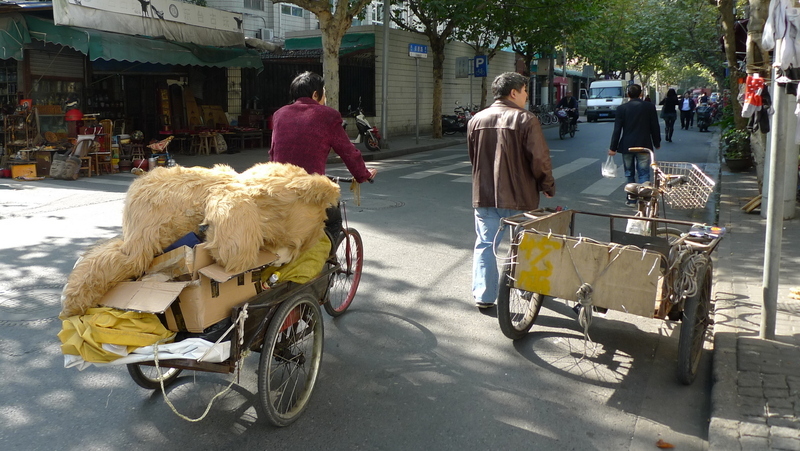 Wait a minute, is that a large stuffed bear in that cart? 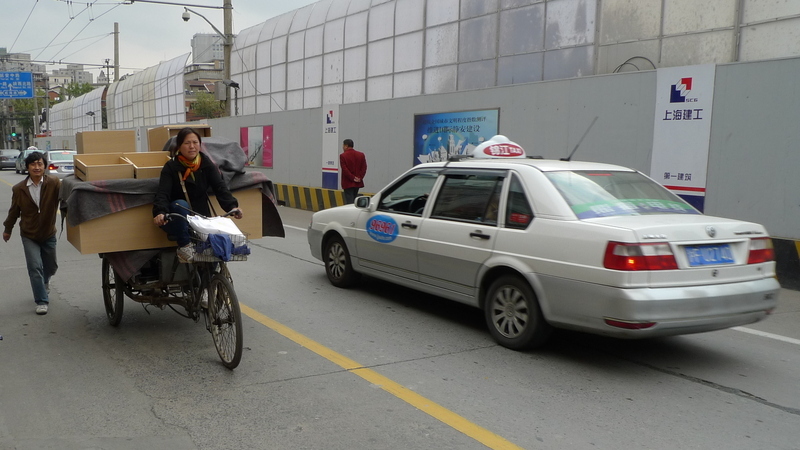 Almost anything can fit on the back of a bicycle, even if it means that the passenger has to walk alongside. 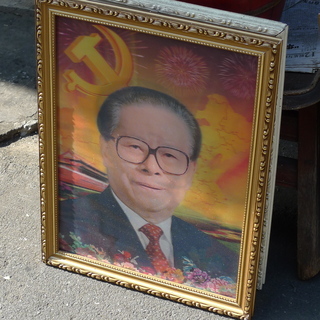 Yes, a portrait of Chinese Communist Party heroes that changes images as you move. 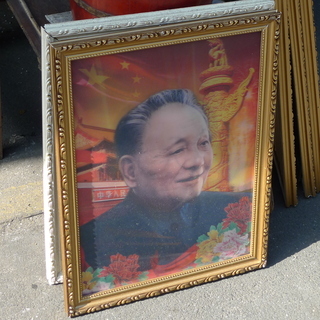 From the left: Jiang Zemin, Mao Zedong, and Deng Xiaoping. I guess the American equivalent would be Lincoln, FDR, and Kennedy? 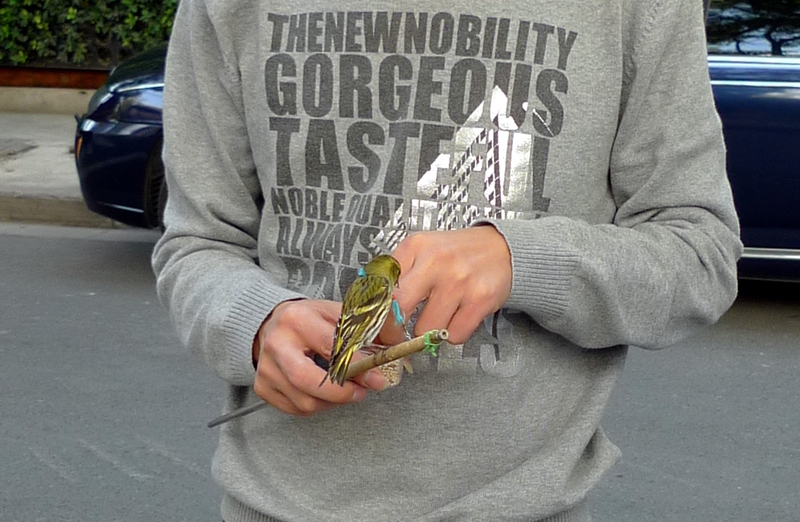 Bird ownership is very popular in Chinese culture. 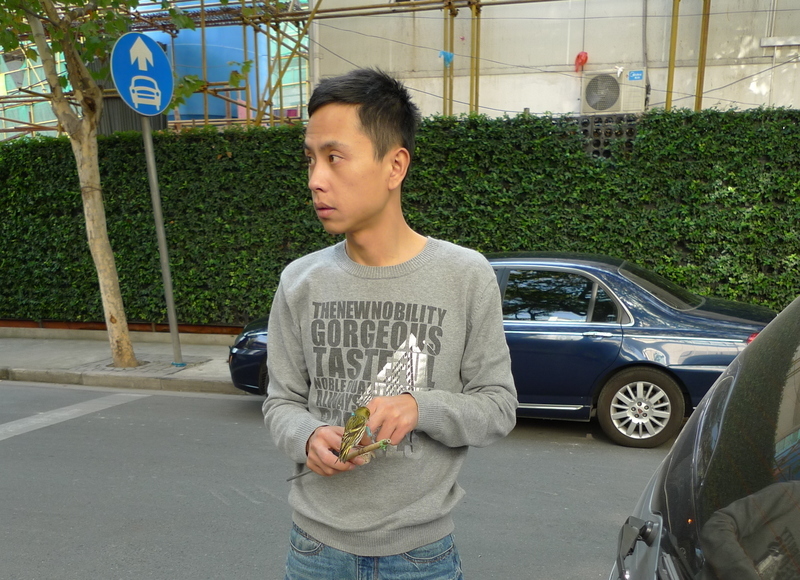 I passed this guy standing on the street and couldn’t figure out at first glance what was in his hands. 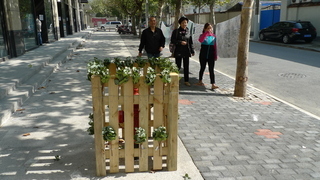 Lots of effort made to beautify the city. 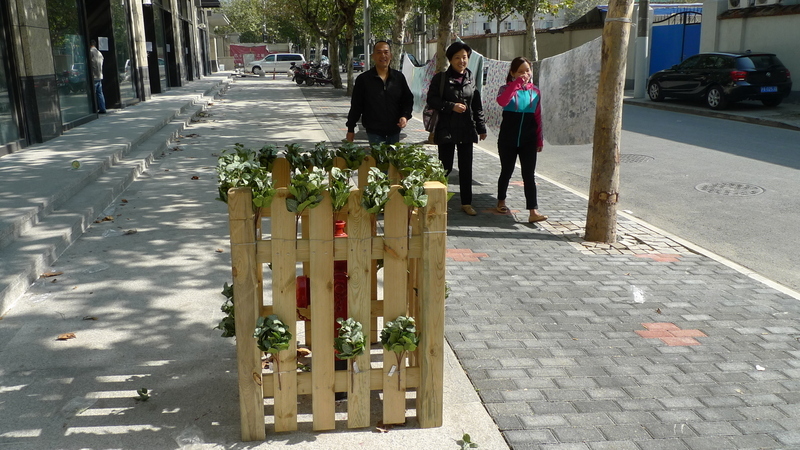 In front of a new set of retail shops that are about to open, someone decided to build a little fence around a fire hydrant, which they must have thought to be unsightly. 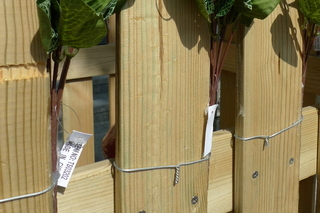 The beautify the fence, they tied small artificial plants to it. Of course the tags are still on the plants, making the whole thing as ugly as could be. Oh, and I checked: the artificial plants were made in the USA. No, just kidding… they were made in China. 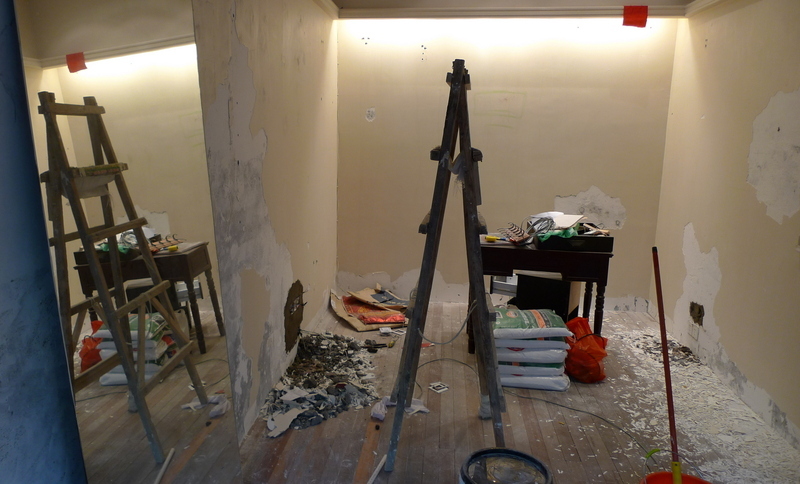 There were lots of buildings being built and shops being remodeled. I found this one interesting just because of the mirror. 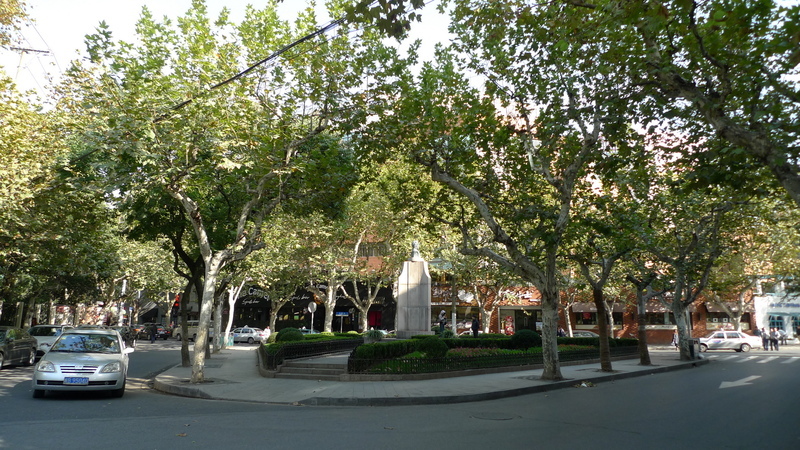 Beautiful small park in the midst of the French Concession. It definitely has a European feel to it, doesn’t it? 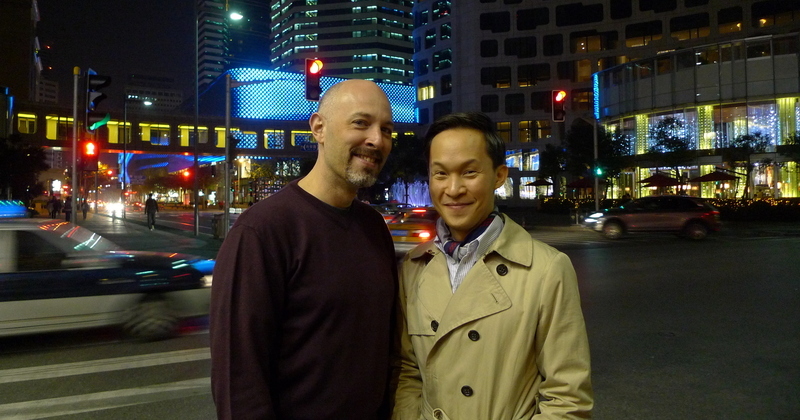 Maybe it was just the chilly autumn weather, but love was everywhere in Shanghai. Lots of people were taking wedding photos. 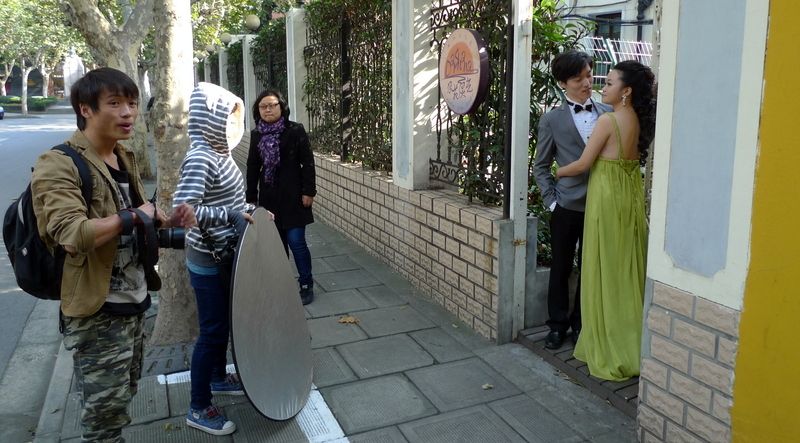 It is common in a lot of Asian cultures to take your wedding photos before the day of the wedding. Maybe there is a rush of weddings in the next few months, to sneak them in during the auspicious Year of the Dragon? We wanted to get in on the action, too! Okay, one more Shanghai entry coming up (about the mag-lev train to the airport) and that wraps up that trip. Happy Thanksgiving to everyone in the United States. 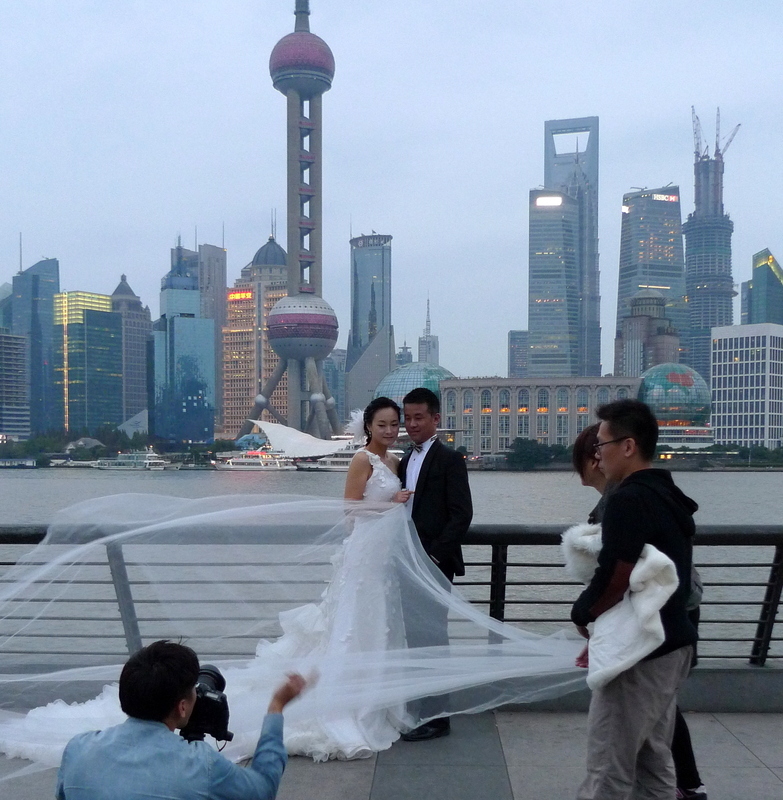 This entry was posted in Uncategorized and tagged China, Shanghai, travel by christao408. Bookmark the permalink. I love this series of photos. They seem to show the ordinary side of the area. Wonderful photos!! I’m laughing out loud at the signs. Happy thanksgiving to you! HA! Diarrhea Clinic, nothing lost in translation there. LOL Love that. Have a happy Thanksgiving! Haha! The signs are always good for a laugh. Sounds like the vacation was terrific. 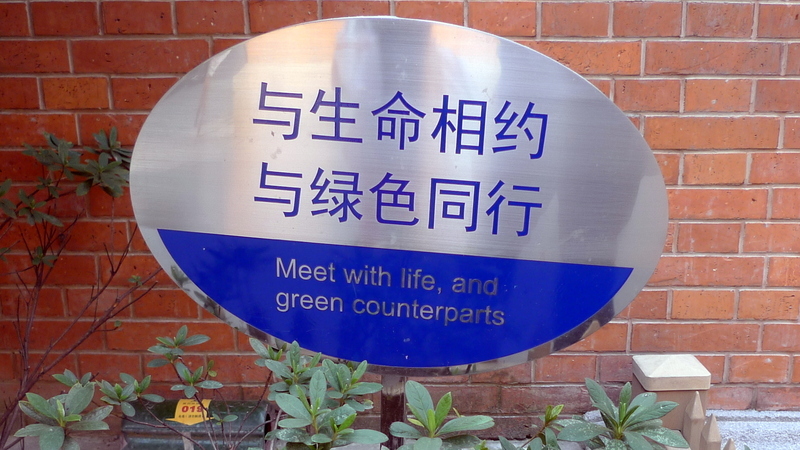 Love the signs — signs often reflect the values and the otherwise routineness of life in a different country, don’t they! Happy Thanksgiving to you and Tawn, too, Chris! I don’t understand the translations either. Maybe Gary can translate them for us. 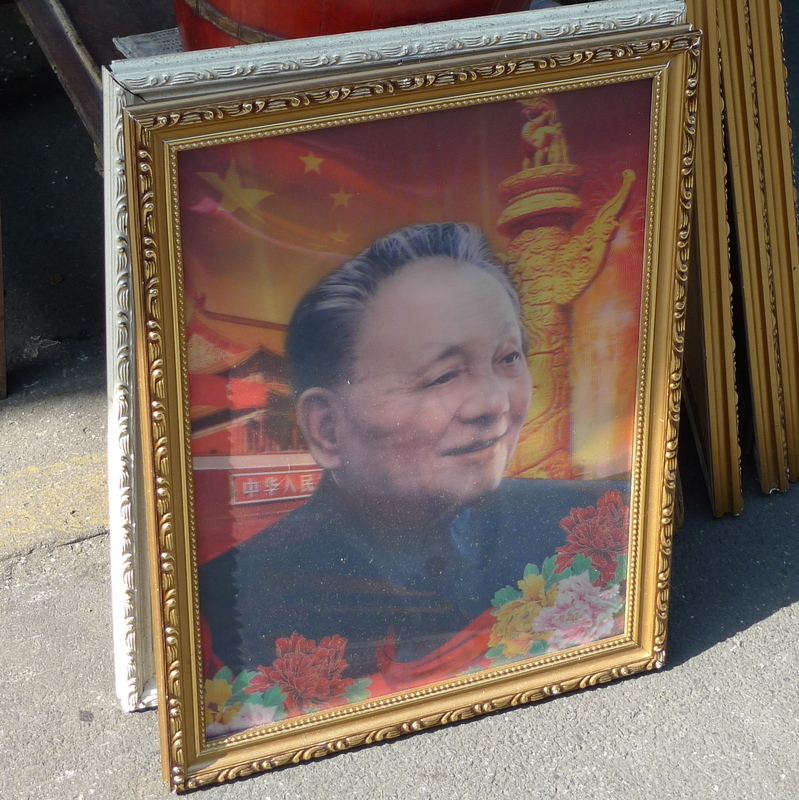 Neat streetshots of the city – did you pick up anything from the antique market? Now that some Chinese are super rich, certain art will increase in value. I suppose the price of Jade pieces will also increase in value too.I do hope China continues with the mix of bicycle/human powered transportation, just because too many gasoline powered vehicles will eventually use up all the gasoline in the world and cause higher prices.Some sign translations are best not to understand. Enforcement of signs is sort of done by mean looks. Then again a lot of people carry mean looks and they don’t mean to look mean.So that is the best together photo you shot? Will it be officially in your “family” album? Love the culture there and the meaning is definitely lost in the translation of some of the signs. The English translation made me chuckle.The photo of the bride with her white gown flowing around her is beautiful, and wonderful photo of you and Tawn. You two look very happy together.I hope today was a blessed Thanksgiving for both of you. 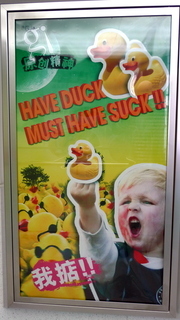 sitting here laughing at the random ad about the duck. omg! Chris, you and Tawn HAVE to go to India. You will have a blast. Haha~~Chris, you captured the most amusing things! That bird man is funny!! Now, I really want to visit Shanghai. Happy Thanksgiving to you and Tawn! i have seen many things that seem odd during my travels to china and japan. but i have seen them enough to not turn my head or think twice about them. such is a regularity here in asia. 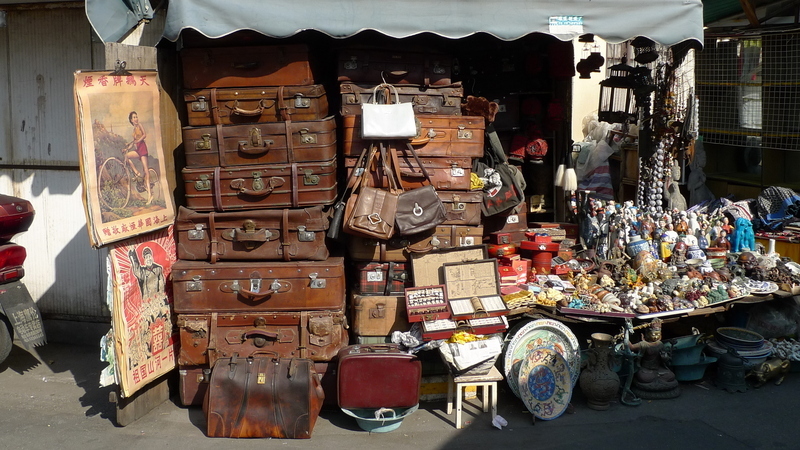 by the way, that antique market must be in the french quarter of shanghai, right? i’ve walked along that street once. not the best memory of shanghai, as one of the vendors was holding her baby child, while the child was pooping, right by the side of her booth, out in open for everyone to see. yeah, i told you i’ve seen many odd things. funny signs wonder what they would say if understood the language or maybe in german or french. i also get a kick out of spanish translation becase the pronoun is at the end of wor ie sleep we, sleep i, sleep you etc. the mirror had me fooled, for a few seconds i thought it was a bigger room. very interesting shot. Glad to see more of your Shanghai trip. It looks like you and Tawn had a really lovely time! You got me laughing with the signs. Thanks. I am slowly becoming desensitised to it, too – used to howl with laughter at them Haha. This reminded me of how some people like to have Chinese characters as tattoos and how they can get it very wrong! @Devilzgaysianboi – I’m sure you will get your chance to go, Kevin. @stepaside_loser – Actually, I know someone who did just that – Chinese character tattoo that doesn’t mean what he thought it meant. Worth noting that he isn’t a westerner. @Inciteful – If those signs made you laugh, there is a site called engrish.com that is always good for a chuckle. 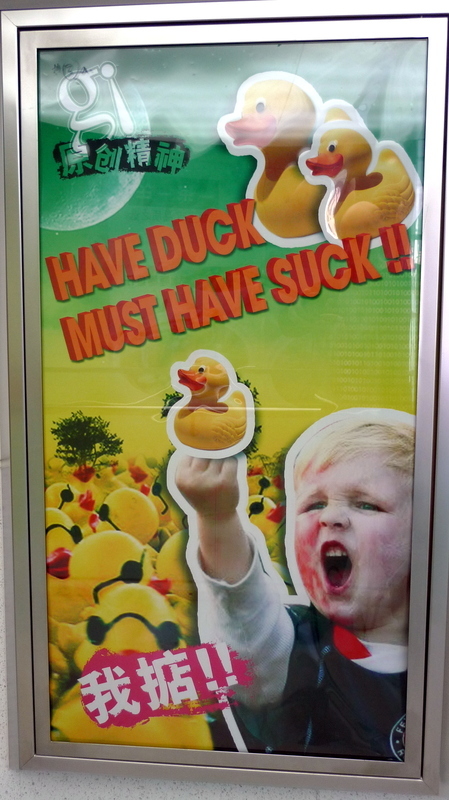 It has plenty of these mistranslated signs. There is another equally funny one called cakewrecks.com that has cakes that were decorated with incorrect messages. @secade – We did, thanks. @oxyGENE_08 – They are a funny part of the scenery, I think. And I say that fully realizing that I slaughter Thai just as badly and provide a source of amusement for folks here. 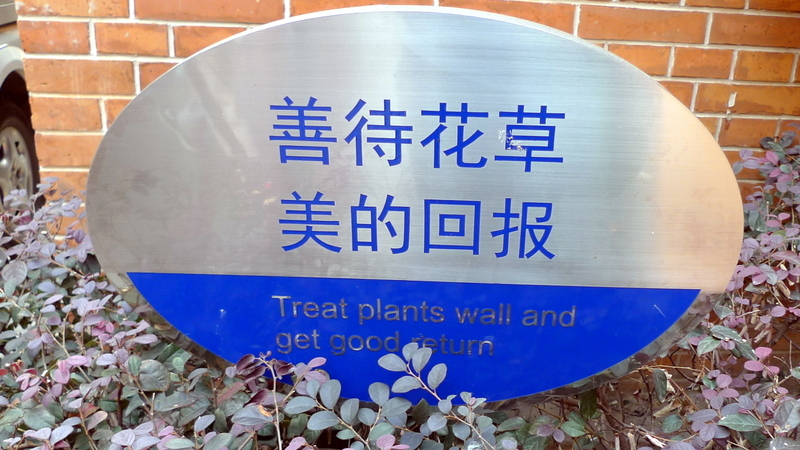 @grannykaren – Half the fun of those signs is imagining what the intended translations are. 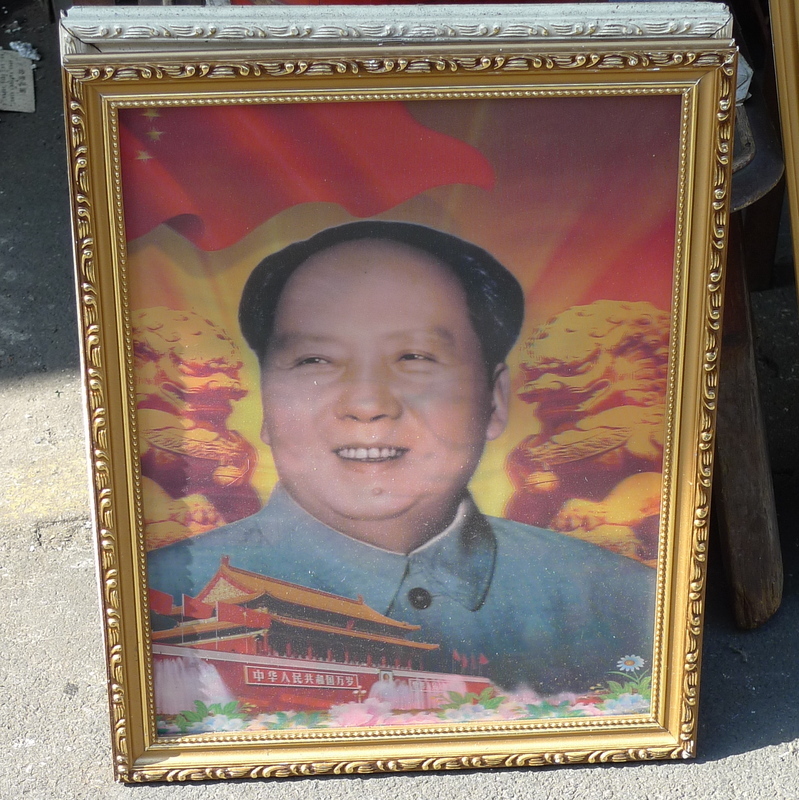 @rudyhou – Tawn saw the same thing in the heart of Beijing’s Tianamen Square. 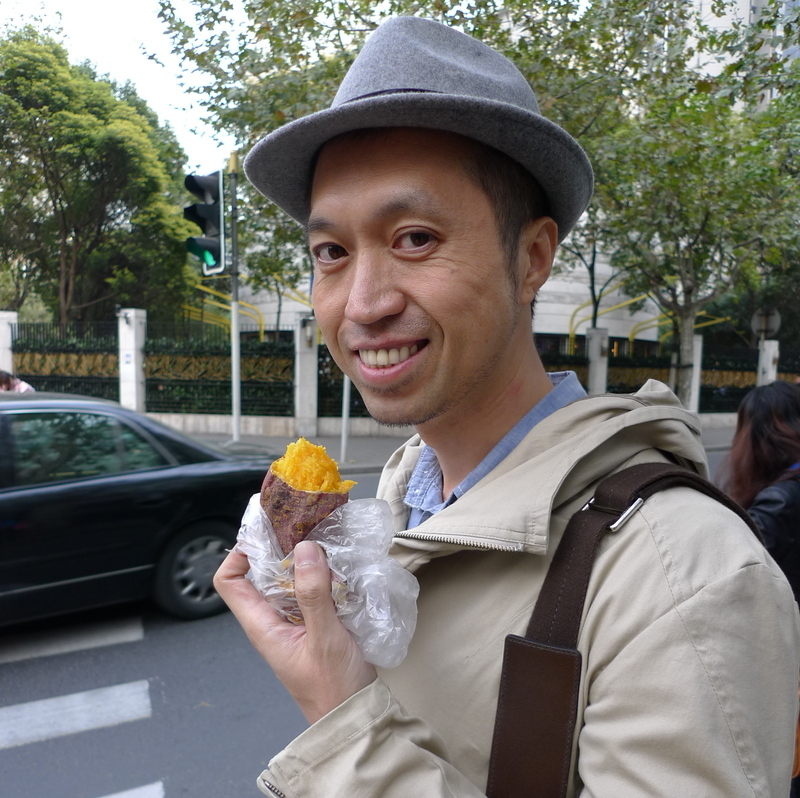 @CurryPuffy – I am surprised you have not been to Shanghai yet. @ZSA_MD – Oh, I am sure you are correct. A visit to India would be so much fun. @Grannys_Place – That photo of the bride standing on the bank of the river was interesting to watch because the photo stylists were having a tough time keeping the fabric blowing in the correct direction. The wind wasn’t cooperating! @ElusiveWords – No, we didn’t see anything that really qualified as an antique and didn’t need anything kitschy. @slmret – Without a doubt, the signs provide some insight into daily life! @murisopsis – @awoolham – The signs were sure good for a laugh or two. @Ikwa – No, that sure was a clear translation. Too clear, I think! @Fatcat723 – Ultimately, I think the random photos are often more reflective of a city and a culture than the standard post card shots. They haven’t started with Christmas decors yet? 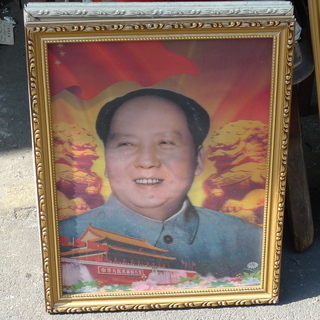 @christao408 – tiananmen square? right where tons of tourists gathered? eeww!